Around this time of the competitive season, the go-to websites of TCG players display home pages filled with articles advising on the correct play for Regionals. Whether you’re going to be playing in Virginia or St. Louis for Week 1, info from other players about what they expect to see and what they might play can be extremely helpful when making your own deck choice. In reality, there are two different plays one can make. The safe play, the one most players choose (and arguably should choose), is the one with the most even matchups against the expected metagame. Decks that have 50/50 matchups across all or the majority of the board are always a smart play for a large tournament. Following this principle is what gave Israel Sosa such fantastic Regionals success last season. His SosaRai deck could go toe-to-toe with any other deck in the format and have a fighting chance at winning the series. This allowed him to make great use of his in-game playing skill to tip matches in his favor. Baaa! 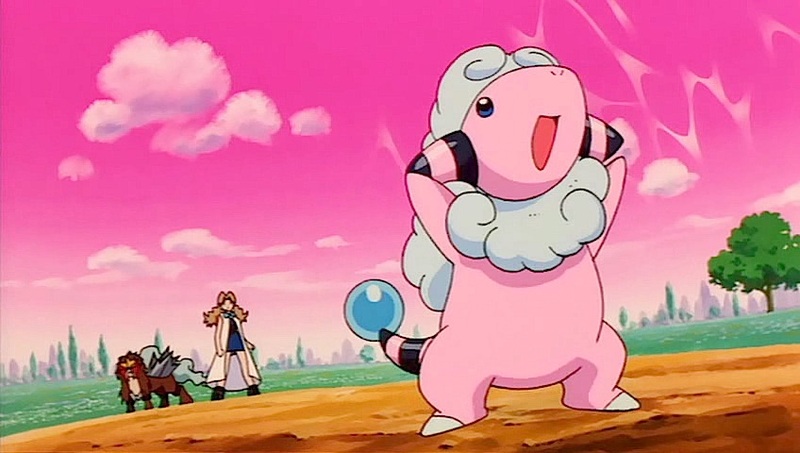 Umm, Flaaffy’s a sheep? Get it? Ehh, really I just like Flaaffy. The “Safe Play” has a brother. An oft-overlooked, black sheep of a brother, lurking in the shadows of the background perhaps, but a brother nonetheless. This brother’s name? The “Risky Play.” Okay, okay, I’ll abandon the dramatic metaphor now, don’t worry. A risky play would be a deck that has a few extremely good matchups against what you predict to be a majority of the meta, but a few hard losses to lesser-played decks. By making a choice like this, you are essentially running the gauntlet during Swiss, banking on the accuracy of your predictions. An example of this would be just this past year at Nationals when Michael Pramawat piloted Pyroar (alliteration, heh) to the Top 2. Although Pyroar had a couple pretty bad matchups in Garbodor and Flygon/Accelgor decks that weekend, Pramawat took the risk and his decision payed off in the end. A few more examples: John Roberts II with Klinklang, Ross Cawthon with The Truth. It is, however, possible to combine attributes of the safe play and the risky play to construct the PERFECT PLAY. This would be a deck that has near 50/50 matchups against the metagame, perhaps barring one or two rarely-played decks, that also includes some kind of new trick to give it an edge. As you all have probably heard, the ECC was just held this past weekend, and the winner, Niklas Lehnert-Rappel, included a 1-1 Golbat PHF line in his Virizion/Genesect deck. Two of his teammates, David Sturm and David Hochmann, both made the Top 4 with a thicker line of bats. Their deck is an example of the perfect combo — safe + risky. I asked Niklas a few questions about his win. Woobat is the superior bat, in my opinion. 1. Congrats again on your win! 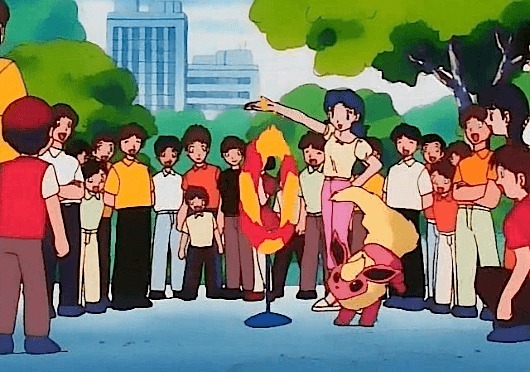 First, would you mind saying a bit about your Pokémon career and yourself in general? Thank you! My name is Niklas Lehnert-Rappel, I have been playing the Pokémon TCG for about 3 years now. I got my invite for Worlds last year just by playing 9 tournaments over the course of the season. I got my invite this year by placing 2nd and twice 4th at Regionals. Besides winning the ECC this year I won 2 Regionals and many Cities, but the ECC is my first big win at a major tournament. Besides playing the TCG I enjoy playing poker and table tennis. 2. How did you arrive at your deck choice and list? Well, for the ECC and big events in general, I like decks which are very consistent and have an edge over inconsistent decks. So, Virizion/Genesect was always popular for its great consistency, the potential to OHKO a lot of things, and also using Red Signal as a non-Supporter “Catcher” effect. The only problem with Virgen I had was the tough Donphan matchup, and also not being able to one-shot Mega EXs like Manectric. The obvious addition to the deck would be Deoxys. So I tested my straight Virgen with Deoxys and found out that starting with it is really horrible … so I really wanted to replace it and thought about Golbat and directly included it instead of Deoxys. Another reason why I chose to play Virgen was Seismitoad-EX/Laser. It’s so annoying to play against this deck and I didn’t want to lose to some Laser flips. 3. 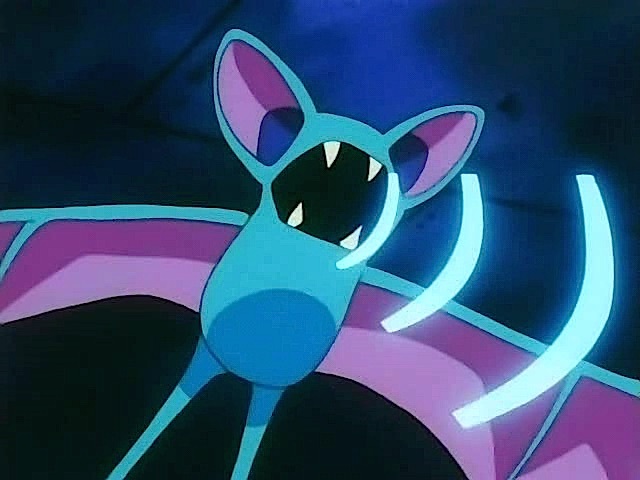 Everyone’s interested in the inclusion of Golbat in your list. What was it for? How well did it function in the tournament? The reason why I played Golbat over Deoxys is first of all the free retreat aspect which gives you another great starter. Starting with Deoxys though is very bad and causes you some trouble to get your much needed turn 2 Emerald Slash. Another great aspect about Golbat is the damage calculations you get with Genesect’s snipe damage. Sometimes you can Emerald Slash with Muscle Band your opponent’s Active EX twice and later on just take the KO with Genesect’s snipe damage of Megalo Cannon and Golbat’s Ability. But there are countless options of using Golbat’s Ability in combination with Genesect and Virizion to its full potential. 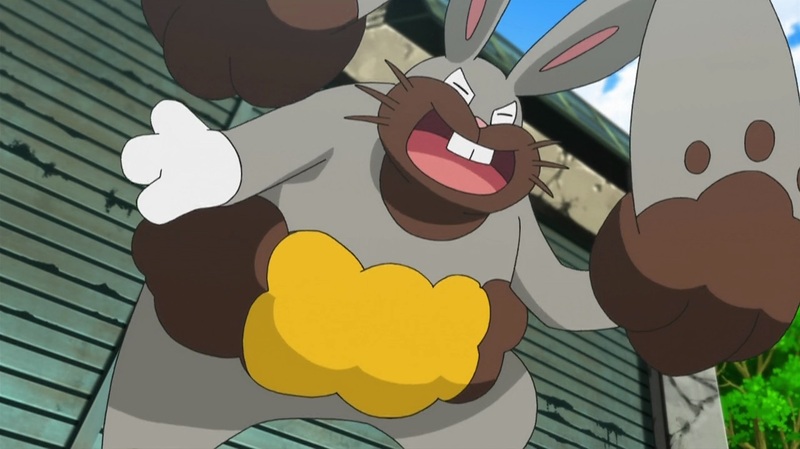 Also, the Fighting Resistance is helpful against Donphan because they have a very hard time to OHKO it. Against Donphan you could just use Golbat’s attack and put 10 damage on every Donphan to get them into OHKO range for Genesect’s Megalo Cannon + Muscle Band. And last but not least, the potential of playing a seven-Prize game is pretty good, too. In the tournament it was absolutely incredible because it caught a lot of people off guard. A nice example for that is that David Hochmann, who played a similar version of this deck and finished 3rd, started with Zubat and his opponent thought it would be the Landorus/Crobat deck. He discarded his Spiritomb LTR on his first turn which gave David the edge in this game. Also, I would really like to thank Philipp and David for helping me with my deck list and the idea! 4. What did you play against? What was the meta like? I played a lot of mirror matches and against some Fairy decks. No Donphan at all, haha. The meta was really diverse. There were so many different decks at the top tables and even new concepts like Emanuel’s Fairy/Jamming Net/Hard Charm which was performing very good. But for what I have seen, Donphan was not played as much as I expected it. 5. Was there anything at the tournament you did not expect? Yeah, some nice deck ideas. As I said Emanuel’s Fairy deck but also Simon’s Donphan/Wobuffet was probably the best meta call for the tournament. But other than that all the top decks at Cities were also doing pretty well. 6. Your Bats/VG and the Fairy/Hard Charm deck took everyone here by surprise. Do you think this will have an impact on the US meta? It may have an impact. The concepts of the decks are still the same, but in my opinion you should test against these different versions because you don’t want to be the one who gets caught off guard. But I am really excited to see if my deck or the new Fairy deck will be played at US Regionals. 7. Do you think your deck is a good play for US Regionals? Well if you want a deck which performs good in a lot of games and does not struggle to set up it’s definitely worth playing it. If you expect more Donphan at your Regionals, you should try Virgen with Crobat and a thicker Golbat line (like the deck David used to get 3rd). You have a lot of options to get creative with standard decks. That’s basically what the ECC showed us last weekend. 8. What would you play if you were going to a Regionals in the US next week? I would play probably Virgen/Golbat again, but I would also like to try the Fairy deck I beat in the finals. Now, I’m not about to say I’m going to give you the next legendary deck or anything like that. The purpose of this article is to point out that thinking outside the box and taking a risk can pay off. It can also backfire. You may have a great anti-meta deck that has tested well and seems like a perfect play, but run into three of your bad matchups. Pokémon is just unpredictable like that; anything can happen! With that disclaimer, I’m going to share a couple of fun decks with you all. To be honest, I’m not really sure what’s going on here. Imagine playing a game of Pokémon where the only cards you can play are your hand and whatever you topdeck each turn. The idea behind this deck is to lock your opponent out of the game by doing just that. 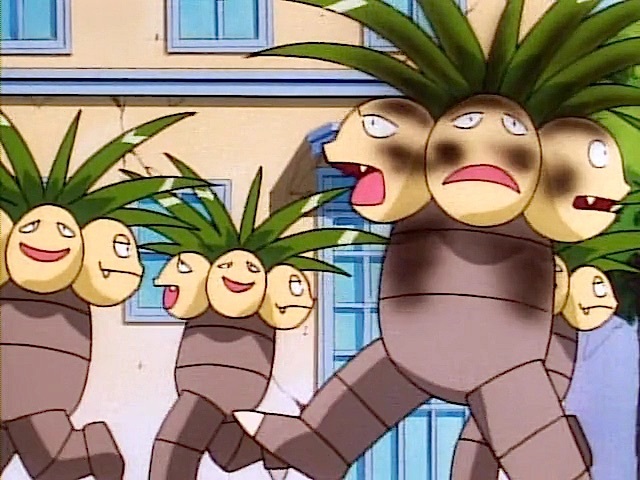 Exeggutor’s attack prevents the use of Supporters during your opponent’s next turn. However, it only does a measly 10 damage. This is augmented by the Muscle Band + LaserBank combo, bringing it up to 60 damage a turn, which really could be worse. Meanwhile, you have Delphox to draw cards and attack with if need be. There are a number of tricky and fun plays with this deck involving Exeggcute’s Ability to come back from the discard multiple times a turn. The downsides to this deck are that it’s not really consistent enough for me, and things can spiral out of your control very quickly. Cards like Yveltal XY and Landorus-EX can be a real problem, because they attack for one Energy and are difficult to KO. The snipe damage from Landorus-EX and Bats killing off your Benched Eggs can be really devastating. If you can manage to run well and get a bit lucky with this deck, it can pay off. This is a deck that I first heard about from Kevin Baxter, who won a Cities with it. This version is different from his, however. I got this list from Henry Ross-Clunis, who used it to gain a Top 4 CC finish and an LC win. The goal is to get to 170 or 180 damage with the combination of Psydrive + Bats + Muscle Band for only two Energies using Dimension Valley. You could play this deck a few different ways. Sigilyph LTR, Wobbuffet PHF, and Miltank FLF are all viable if you want a non-EX attacker. They’re not included in this list because Crobat can attack for free and at 130 HP is pretty difficult to take down, and since it’s in there anyway it doesn’t take up any extra space. This deck can also take advantage of a wider variety of ACE SPECs than most. Master Ball and Scoop Up Cyclone both have synergy with the concept, but I like the consistency of Computer Search to help fill in any piece of the puzzle you may be missing. As far as matchups go, Fairybox is close, V/G and Donphan are very favorable — but like any deck that requires significant combinations or setups, this deck struggles a bit with Toad/Garbodor. Manectric-EX and Mega Manectric-EX have a lot of inherent power. This deck is Jimmy Pendarvis’s creation, and it aims to take full advantage of Manectric. Ideally, you power up two Megas. When one gets damaged, you Max Potion it, return it to the Bench, and use the second one to put the Energies right back on. This is a very linear strategy, but it can be effective. This deck’s obvious weakness is Fighting-type decks, but if you don’t see a lot of Landorus around, it will really destroy some Yveltals. Flareon doesn’t get enough cuteness credit. This deck uses non-EX attackers that hit for high damage using a single Energy attachment. Flareon and Leafeon each take care of V/G and Toad respectively. Slurpuff gives great consistency while adding to your Pokémon count for Flareon. In my opinion, this deck could have a very good performance or a very bad one. It’s pretty unique and fun to play, however, so give it a shot if it appeals to you! Ah, Mewtwo/Eels — err, I mean Bronzong. This concept was around a bit when Eels were legal, and it hasn’t changed too much. It’s gained Battle Compressor, which is extremely helpful in the deck. Pretty self-explanatory stuff here; power up some big Mewtwos and smack stuff. This deck doesn’t fare too well against Toad, but could be an interesting play. I lost to Isaiah Rufus playing this deck in Top 8 of a CC this year. I was playing Yveltal, which is obviously an uphill matchup. I was impressed with the way the deck ran and the multiple-threat coverage that the attackers have. Kyurem covers Manectric’s Weakness perfectly, and once the train gets rolling it’s difficult to slow it down. Obviously Tool Drop is not a new concept; it’s been around for a while. It could be a very strong play right now, since Garbodor and Megaphone are not as widely played at the moment as they have been in the past. Tool Drop is in a position to take a tournament by surprise, for anyone who has the inclination to go for it. When Tool Drop lost Exp. Share, it pretty much fell off the face of the Earth. However, it gained an even better (in my opinion) replacement in Dimension Valley. Exp. Share could be Scrappered off right before your opponent KO’d a Trubbish, completely ruining your next turn, but now you can slam down Dimension Valley and one Energy on Trubbish all at once to attack. This seems incredibly powerful and pretty much only struggles with Garbodor. I know, this is ridiculous! Honestly, Jimmy made me promise to include this deck — I’m not going to lie to you folks. It does follow a proven strategy, though: reuse annoying Items from the discard each turn. In the past, this function could be fulfilled by Sableye DEX, but since its rotation it’s pretty much one and done for Items. Diggersby boast 30 more HP than Sableye did, so it’s a bit harder to take down. Additionally, if you flip heads on its second attack, Diggersby can’t be damaged next turn. So, that’s something I guess. Well, there you have it. These decks are really just to get the creative ball rolling in your mind. Share a crazy deck idea you’re working on in the comments!